Well if you are here then I’m sure you must be new to Mac. This is the most common question mostly asked by users who switched from windows to mac “How to use task Manager on Mac”. Task manager is one of the most useful system monitor program. sometime our applications doesn’t work and we stuck into a window and only way to escape from that application is to end task using task manager. Task manager provides information about the processes and programs running on a computer. Task manager easily views and manages tasks,applications and any other active processes that are running in Mac OS X. If you’re familiar with the Windows Task Manager, then you must wondering if there’s any task manager for mac? 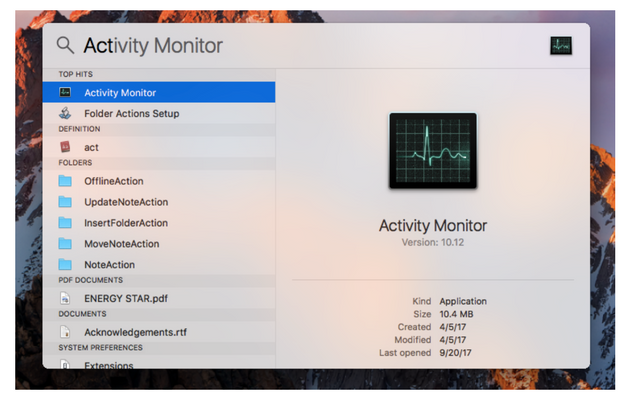 Yes, there exists Task Manager on Mac but it has another name — “Activity Monitor”. 1 What Activity Monitor is Capable of doing? 3 Is there any shortcut to Force close applications in Mac? 4.1 1. What is kernel_task ? 4.2 2. 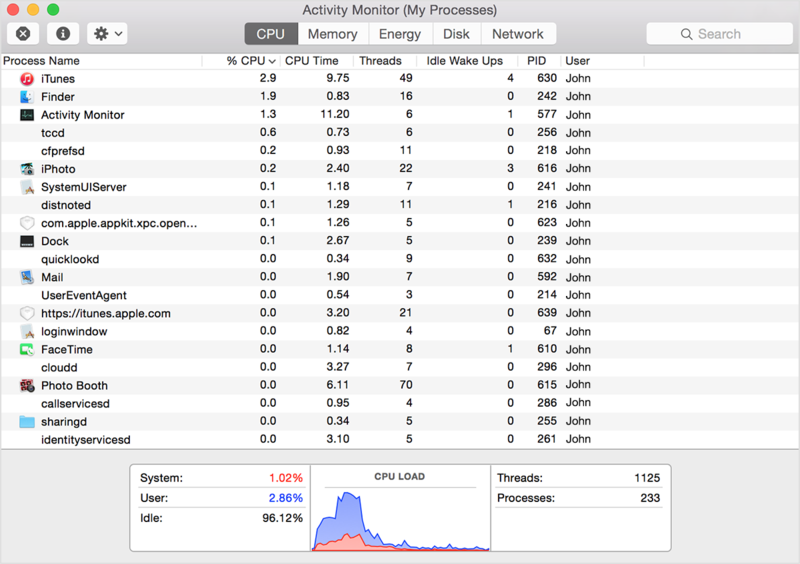 Is there any Task Manager Alternatives for Mac? What Activity Monitor is Capable of doing? The Energy pane shows overall energy consumed by every single application more the energy consumption lesser the battery backup. The Disk pane shows the amount of data that each process has read from your disk and written to your disk. If you’ve used windows than you must be familiar that we can run task Manager by hitting “CTRL+ALT+DELETE”. In Mac procedure to open task Manager is bit different. Activity Monitor (Task Manager) is located in your /Applications/Utilities/ folder. You can use Spotlight as a keyboard shortcut for quickly access Task manager. Step 1 :- Using keyboard Press Command+Spacebar to get the Spotlight search field. Step 2:- Search for “Activity Monitor” . Step 3 :- You can see Activity Monitor field will appear on your screen double click on it to run. And that’s how you can use Task Manager on Mac. There are some more methods to open Mac Task manager, let’s have a look. Open Finder and navigate to applications and then Utilities. Drag the Activity Monitor application icon to the dock to pin it. 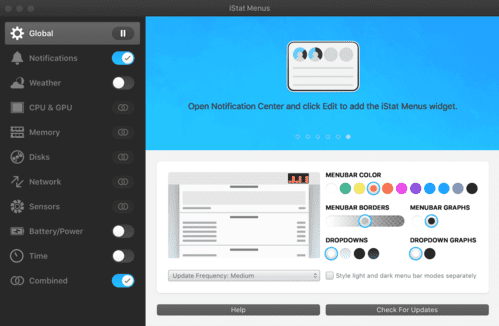 Once pinned, you can instantly start up Activity Monitor simply by clicking on the pinned icon in the dock. Is there any shortcut to Force close applications in Mac? Windows user are very familiar that pressing ALT+CTRL+DELETE will take them to task manager where they can force close their apps or end all tasks running unnecessarily in background. Well there is very similar shortcut like this in mac as well. 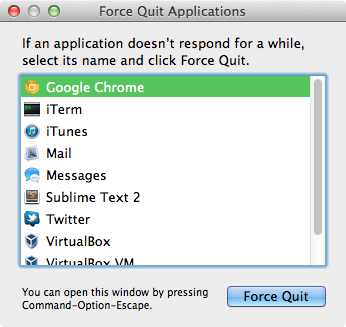 Using this method of Task Manager Force Quit, you can close any stuck or frozen Window. 1. What is kernel_task ? While using activity monitor you must have noticed in CPU pane that there is one particular process namely “Kernel_task” which is consuming a lot of system resources.You must be wondering whether is it possible to kill it. Since kernel_task is essentially the core of the macOS operating system, it’s impossible to stop it. One of the functions of kernel_task is to help manage CPU temperature by making the CPU less available to processes that are using it intensely. 2. Is there any Task Manager Alternatives for Mac? It is one of the most advance task manager available for MAC OS which offers many advance features like task manager with notifications based on CPU, network, disk, battery, support for hotkeys, reorderable drop-down menus, a compact notification center widget, and many more features. Its licensed version will cost around 18$ for new users and for older user it costs 12$ to renew its license. XRG is very similar to Activity Monitor but it is an open source system monitor. XRG allows you to monitor our activities, battery statistics, disk usage etc. Additionally XRG displays stock market data, current weather as well. it is easy to use and its open source so it is completely free. If you are new to Mac I’ll recommend you to keep activity monitor in your dock in order to access it conveniently. If you get scared looking at the statistic at activity monitor or don’t understand what is going on activity monitor you don’t have to worry about anything. That’s everything about the Task Manager on Mac!! If you have any doubts or questions, let us know in comments.